If you're an insurance agent, you know that your time is best spent in front of the client. All of that behind-the-scenes work like scheduling appointments, fixing errors on applications, and running reports can take you away from where you shine the most. And while you can do it all for some time, there comes a breaking point. Things start to get missed, you go absolutely insane during open enrollment, and your sales may even plateau because your business is growing and you're stretched too thin to handle it. 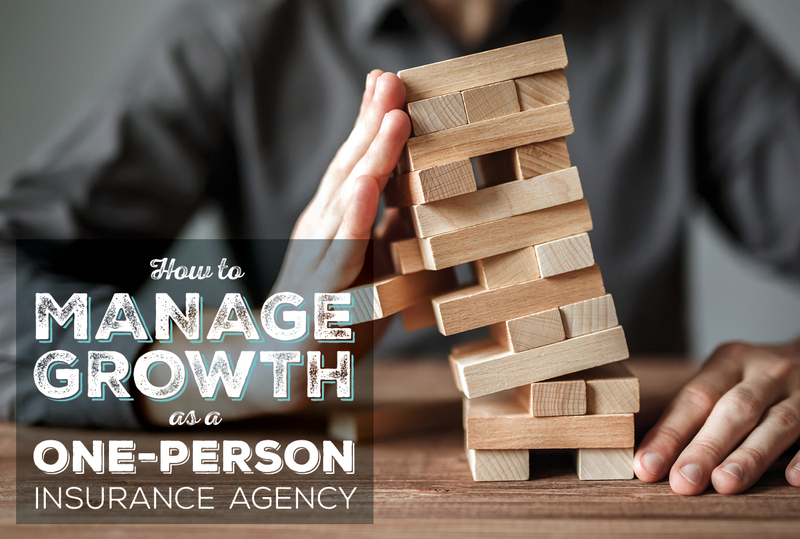 In order to manage growth properly as a one-person insurance agency, you have to know when it's time to hire help. Does Your New Hire Need an Insurance License? And before we dive in, I just have to say that this is what has worked for us here at our local agency – your needs and concerns might be slightly different, but I still think you'll be able to pull some helpful information out of this article. Let's get to it! Whether you're stressed out beyond belief or you're handling everything fine, there are certain tasks that you probably shouldn't be doing. Again – you make your money when you're in front of your clients. Why would you take away that money-making time away and put it somewhere where you aren't making any money at all? It's a waste of your abilities. So, in order to find out if you're spending your time in a smart way, I've come up with a list of some tasks that I no longer do myself. These are tasks that an intern, assistant, or secretary should be doing for you so that you can be out in the field bringing in the dough. Do not schedule your own renewal appointments. Why? It's one of the biggest time wasters for agents. Here's what happened before I delegated this task to an intern. I'd call up my client, we'd start chatting about the latest and greatest, and twenty minutes later we were finally scheduling the actual appointment before hanging up the phone. And this went on and on until an entire day was gone and I'd only scheduled half of the appointments I needed to schedule. That's an entire day of lost sales. When you hire someone else to schedule those appointments for you, the call is a minute – maybe 2-minute conversation. That assistant or intern doesn't have any history with your clients like you do – there's no time spent catching up and talking about the grandkids. All of that can be done when they come in for their actual appointment with you. The call is now short, succinct, and best of all – not done by you. You get to spend your time meeting the needs of your clients and making commissions while your helper does the scheduling. This goes hand-in-hand with scheduling the renewal appointments – your helper should be running the report needed to make those calls. While a CRM is ideal – especially if you're trying to manage growth – we know that there needs to be a starting point. 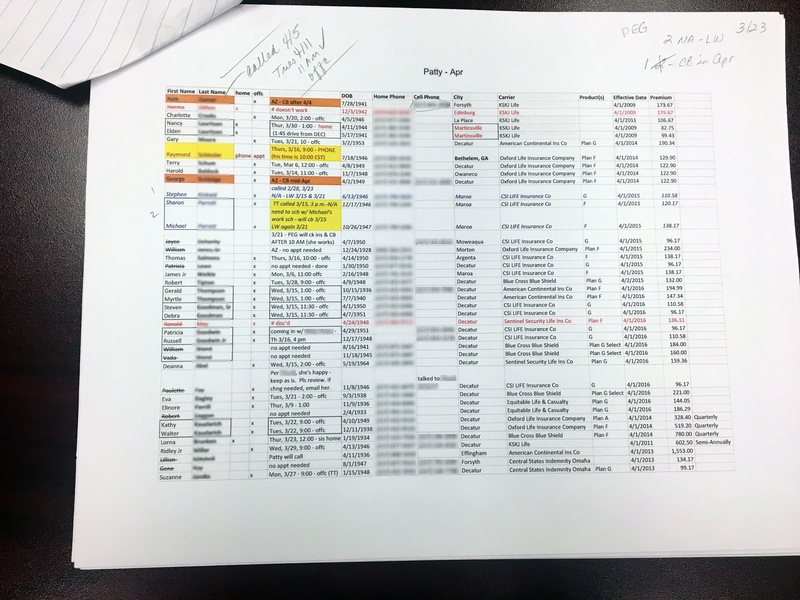 We've developed a Google Sheet (like an Excel spreadsheet) that you can use as a template. 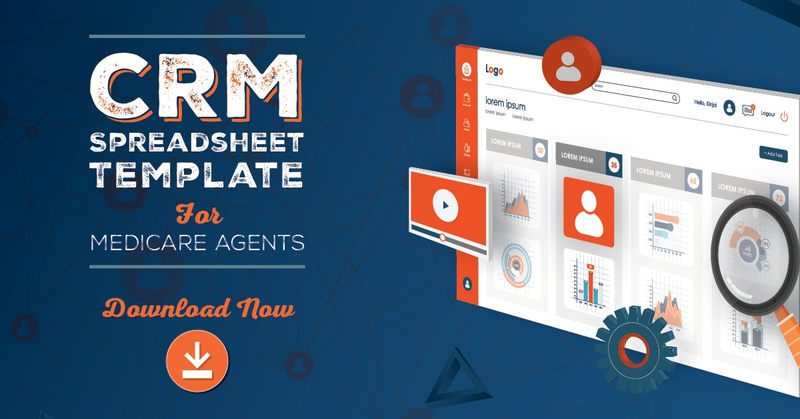 Ultimately, this template could be uploaded to your CRM if you do choose to get one. Once you have a platform or system in place, you want to be able to pull reports based on the effective date. We recommend looking at least 30, preferably 60 days out. 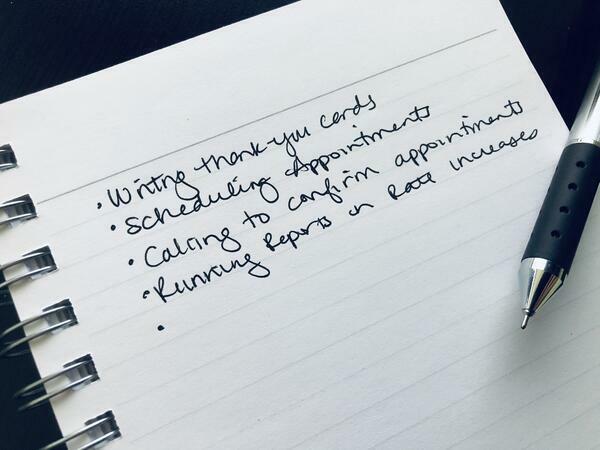 Occasionally, you'll need to run a report if there's a massive rate increase, but most of the time scheduling the appointments based on effective date is what you'll do. When I'm done with an application, I drop it in a tray for Joyce, and I'm immediately grabbing my next client. All of my time is spent on interacting with the client and bringing in new sales. If I'm missing something on the app, Joyce lets me know by placing it on my desk with a little sticky tab next to the error, I quickly fix it, and it gets sent in. This is a beautiful work process, and it's the way you should be doing business if you're not already. Think about it: you're the one who's bringing in the revenue. Is your time really best spent processing new business?! NO! Your time is best spent presenting the product, building a relationship with that client, and growing your business. Everyone involved is essential to a successful agency, and your job is to make sure you're delegating tasks so that you're as efficient as you can be. If you're a one-person deal, you don't need to be reminded that your time is being wasted by answering the phone, listening to voicemails, and sorting through email. If you train up your intern, assistant, secretary – whatever you want to call it – you'll not only cut down on phone time, but you won't be wasting any more of your time listening to and responding to voicemails. And don't even get us started with email! According to McKinsey & Company, the average worker spends about one-fourth of their time on email, or about 11 hours per week. That's about 124 work emails every day between sending and receiving. In the senior market, you may be dealing with clients over the phone more than email, but the time problem is the same. For example, perhaps it's a client who needs to reschedule their appointment. You don't need to be on the phone for that. Maybe it's a client who has a quick question about their policy. You can train up your helper to know those answers. You need to be in front of that client as much as you can be – not playing phone tag. The fear of the unknown can cause us to make up a lot of excuses. For example, perhaps you're worried that a new hire will screw everything up and damage your client relationships. Maybe you're worried that your helper will misuse client information. Maybe you're worried they'll steal your pens! Yes, I'm joking about that one, but all of these have one thing in common: they're bogus excuses. These aren't concerns. I can say that confidently from real-life experience. These are made-up hurdles. I've never had an intern or assistant cause me to lose any of my clients. If anything, they're helping me retain them. I've never had an intern or assistant misuse information. Never. Once you can get over that fear of the unknown, you'll have this major catharsis that yes, you need help, and there's nothing standing in your way. Just think about it this way: how could any company grow if they didn't step out of their comfort zone and hire help? I don't think insurance experience or a license is a requirement for growing your agency with new hires. To be quite honest, I almost feel a bit unsure of hiring an assistant that does have their license. We always give everyone the benefit of the doubt, but there'd be that lingering desire to say, "I took the phone call, I pretty much made the sale already... I could just write this policy myself!" In my mind, I don't really want my helper to be licensed. I've never experienced that personally, so I can't say with certainty, but that'd be my concern. On the other hand, if you're looking to train and hire agents to sell under you, that's another story. Of course you want them to be licensed, and our recommendations for training them would be to start with our All-Star Program, which will train those agents for you and ensure they're bringing in the most money possible to the house. A great place to start when looking for an intern is your local college or university. For example, we hire interns from our local university, and we actually have a deal in place where we pay half the hourly wage and the university pays the other half. That helps keep costs down while also ensuring quality, hard-working interns. If you need back-office help, that's where I'd start since we've had success with that. If that's not available or you don't find a great candidate, I'd next suggest asking around (networking). Many find a lot of success simply posting on their social media account. You really need to find someone locally, though. I wouldn't recommend hiring someone remotely for this role as you need them to be physically present to handle paperwork and other local duties. Here's what I'd recommend: start with a detailed job description. Setting expectations is essential – you want your assistant to be clear on what they're responsible for. If you tell them you basically need help answering phones, and you wonder why they're not proactively pulling reports and double-checking your applications, that's on you. Spend a week or so creating a detailed list of tasks you'd rather delegate out then do yourself. You can just jot these down as you go about your day – even keeping a note going on your phone can work well. You can use our list above as a guide, but your work processes are unique to you, so you'll surely have additional items. Keep in mind that anything that's pulling you away from your clients is an ideal task to delegate out. Once you have your list of tasks, put those into a job description. This is the actual job description our local agency uses to hire an Agency Contact Representative intern. This is tailored towards finding an individual who would spend the majority of their time scheduling renewal appointments. Feel free to copy and paste this for your own use! After this information, include a little paragraph or two about yourself and your agency. Finally, at the bottom, tell the individual where to email their resume. This is another job description our local agency uses, but it's tailored specifically for the Annual Enrollment Period (AEP). This individual would be spending most of their time running drug comparisons to help us out. Again, feel free to copy and paste this internship description for your own purposes. Once you hire your helper, set specific times for training as well as times you plan on checking in. For example, you might train them from 8-9am on a few basic tasks. You'll then explain that you're in appointments until 11, but that you'll check in then. What you're trying to avoid is an open-ended "Ask me if you have any questions at all!" That's an invitation to break up your day with uninvited interruptions – by setting a time for questions, you're keeping your productivity high while also setting expectations. It's helpful to start things off with a Medicare 101-type training course. Get them familiar with the basic Medicare lingo, and they'll learn a lot of the other details as they go. If you really need help with running drug comparisons, show them how to do it 3 or 4 times, and then give them some homework with real-life scenarios. Once they get the hang of it, your initial time investment will save you so much time – and headaches! Having the time to train a new hire is a real concern. And it's true – hiring an intern properly takes time, and if you cut corners, here's what can happen: you get pulled from what you're doing to put out fires. And that's what we're trying to avoid in the first place. You simply don't want to cut corners when it comes to finding time to train your new hire. To help with some of that training time, we've developed some call scripts you can use. These scripts are also tested by us and have worked wonderfully for years! Remember why you're doing this. When you spend time with a client and you're fresh on their brain, they'll remember to recommend you to others and you'll get referrals. Just ask yourself: how much energy do I want to pour into my work, and where do I want to pour it? If all your energy is poured into money-making tasks and not supporting roles, that's where you're going to be the most efficient. And honestly? The new hire will pay for itself.